ASUS expands its popular ZenFone series with the new ZenFone Selfie (ZD551KL), retaining most of the ZenFone 2 design elements. Thanks to ASUS Singapore for providing a review unit way ahead of the Singapore launch, I am able to share the experience upon official announcement. I am currently using the ZenFone 2 ZE551ML which is in my opinion the most value-for-money smartphone with flagship performance at half the price of other brands. If ZenFone 2 is already such a spectacular product for me, what does ZenFone Selfie offer me? 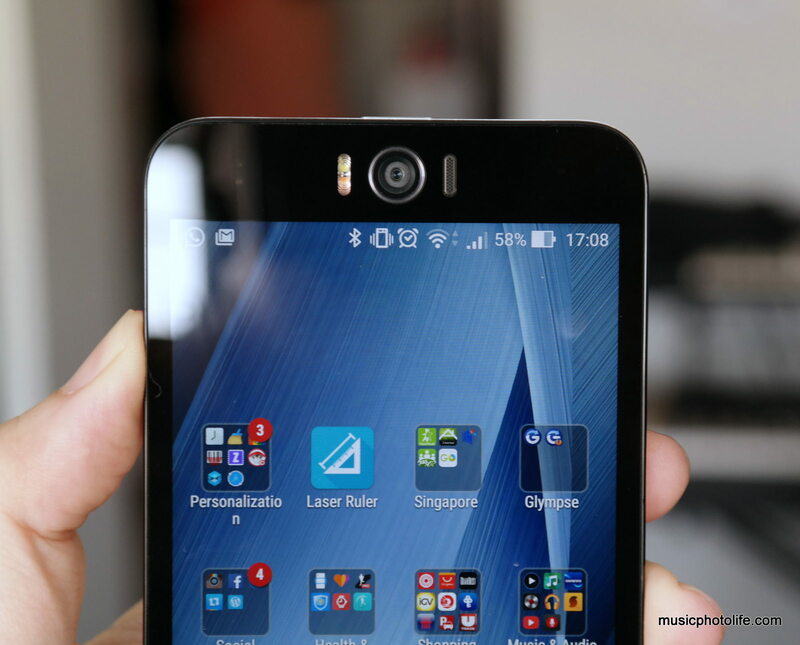 ASUS has fit a glorious 13MP front-facing camera with LED flash. I like how the lens is placed right at the middle, with the flash on the left and the call speaker on the right. The absence of “ASUS” logo also made the front display clean and subtle. I also like the additional gesture for ZenMotion to launch the front camera, which is not available on other ZenFone models. ZenMotion is a screen gesture feature, where you can draw a gesture on the display to start up apps. The Beautification shooting mode is an existing feature in previous ZenFone 2 models. It provides real time preview of the beautifying effects you tweaked, like face whitening, eye enlargement, face slimming. In this mode, you can also choose the length of countdown easily by sliding the shutter up. The higher you slide, the longer countdown is provided. The new Laser AF introduced on the ZenFone Selfie does provide a faster AF response. The camera will auto-focus speedily as long as it detects the focus area has changed, for instance, when you reframe the scene or when the object moves. Occasionally, the camera would focus-lock incorrectly, and does not auto refocus unless the subject moves. In such cases, you need to tap the screen to manually refocus. One feature that people usually take for granted is how the image files are named. 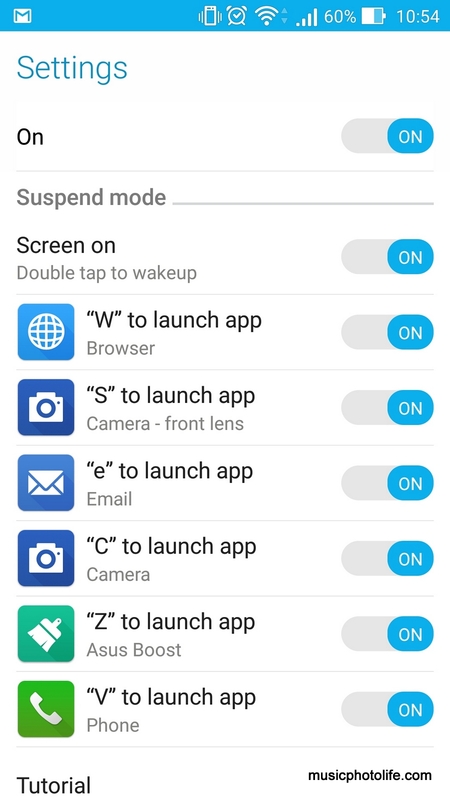 ZenFone smartphones would name each file by date, time, and add a suffix at the end of the file to indicate the shooting mode. So you will see “HDR” for HDR shots, “BF” for Beautification, “SRES” for super-high resolution, “MT” for miniature, “PNSF” for selfie panorama. This ensures every image has a unique file name instead of a generic IMG_0001.JPG. 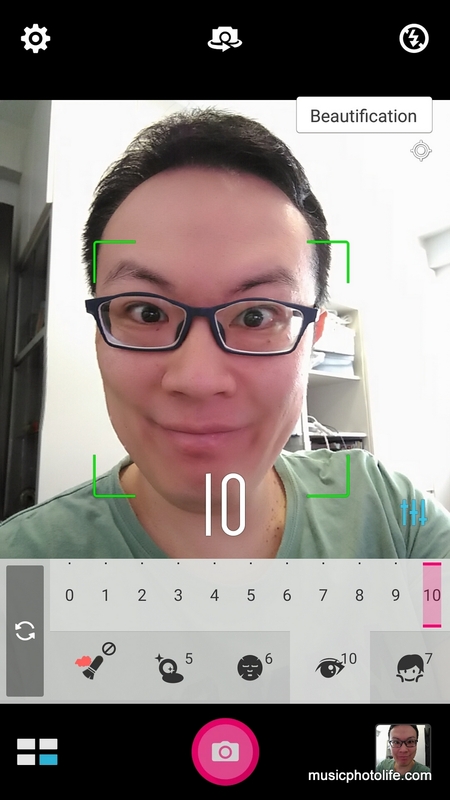 As an average-looking male, the ZenFone Selfie provides me with the most gratifying self-portrait experience ever. It brings out my unexpected self-indulgence in taking selfies, thanks to how the ASUS camera effects made me look so effortlessly good. The generous pixel count means I have lots of room for post-processing without looking over-processed. 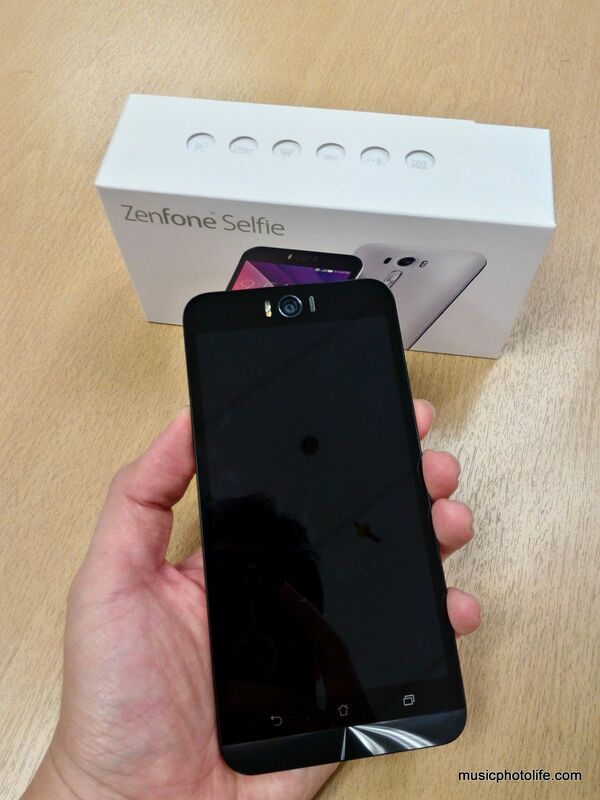 For more photo samples, follow me on Instagram and search for hashtags #ZenfoneSelfie and #SeeThePerfectYou. In absolute terms, the Samsung Galaxy S6 or Note 5 are still much better smartphone cameras, but the price you have to pay are also much higher. While the Zenfone Selfie may look noisy at low light, I appreciate the ability to retain chroma (colour) details. 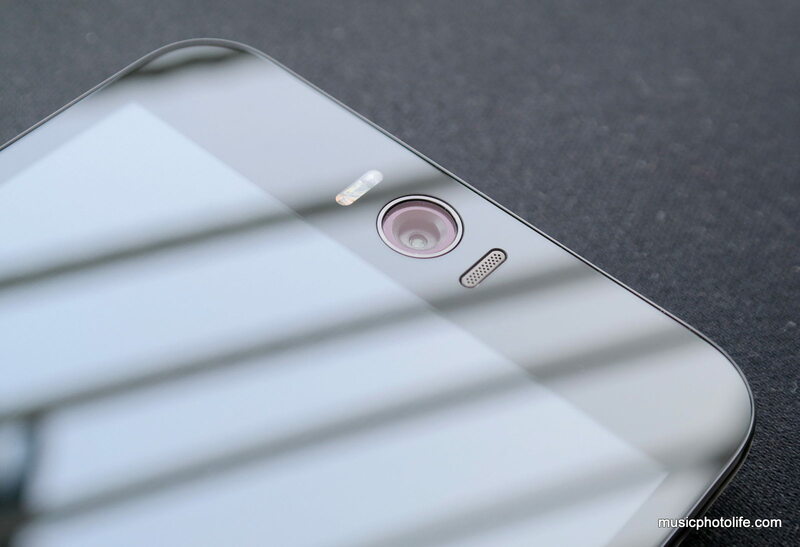 As earlier mentioned, the ZenFone Selfie follows the other ZenFone 2 design characteristics. The concentric circle detailing provides a signature radiating pattern under lighting. The rear ergonomic arc cover is replaceable so I can use the phone without worries of damage during daily use. The power button has improved response and easier to be pressed. 2 important enhancements to the ZenFone Selfie is that the battery is removable, and both SIM slots can support faster 4G network, though only one can be enabled at any time. This is better than having to swap SIM cards in the earlier ZenFone 2 models. ASUS also purposely designed the SIM 2 slot to be easily hot-swappable without removing the battery. On the ZenFone Selfie, ASUS chooses to use a more energy efficient processor, the Qualcomm Snapdragon 615 with 4 cores running at 1.5GHz, another 4 cores at 1.1GHz, and a generous 3GB RAM. Although I experienced a less responsive experience compared to the higher-spec ZenFone 2, it feels speedier than many other smartphones I have reviewed running on the same processor. In addition, I was very pleased with the battery performance, which did not appear to drain excessively despite my normally heavy usage. All thanks to the large 3000 mAh battery and power-saving apps like Auto-start Manager, Power Saver. Sadly, the ZenFone Selfie also inherits the easily-scratched black glossy plastic bezel, in contrast to a scratch-prone Gorrilla Glass 4 glass. The Full-HD 1920×1080 display appears to be slightly less warm compared to ZenFone 2, but you can tweak the colour tones with the Splendid app. The ZenFone Selfie also lacks NFC capability, and does not support fast charging, so it would take me over 2 hours to charge the battery to full capacity. 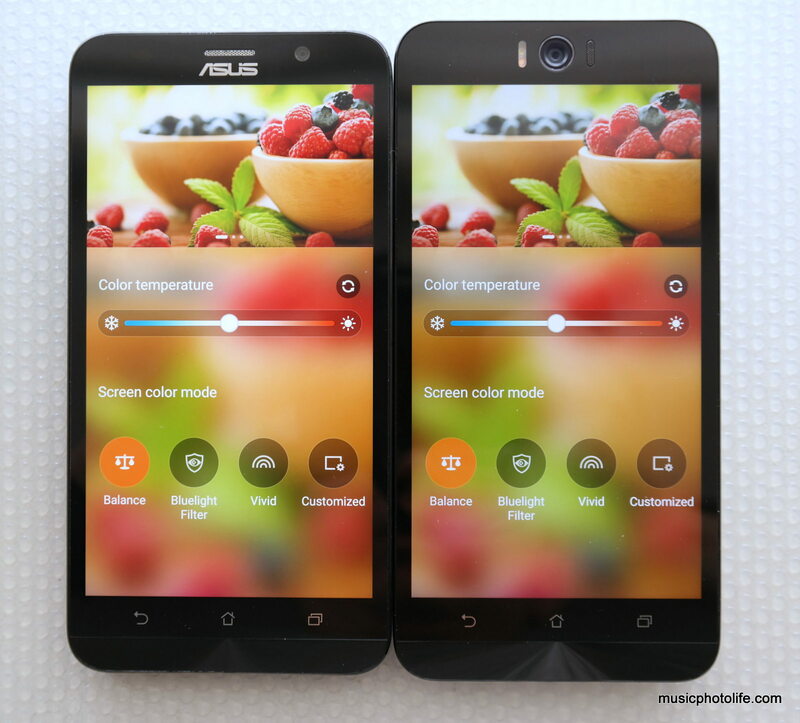 The ZenFone Selfie UI is largely similar to the rest of the ZenFone series. The ZenUI remains one of the more responsive, well-featured and highly-customisable UI in the Android market. ASUS ZenFone smartphones offer me so many usable apps that I have stopped using some of the third party apps altogether. The above says it all: ZenFone Selfie is the best-performing budget smartphone for self-portraiture. The front LED really makes a difference to fill-in shadow on your face. The 13MP front camera provides more room for post-processing, thus making the output more natural. The moderate-spec processor coupled with generous 3000 mAh battery capacity make the ZenFone Selfie last longer than other smartphones I have tested. It is powered with 3GB RAM, 32GB built-in memory, dual 4G SIM slots, and microSD card slot for expanded storage. 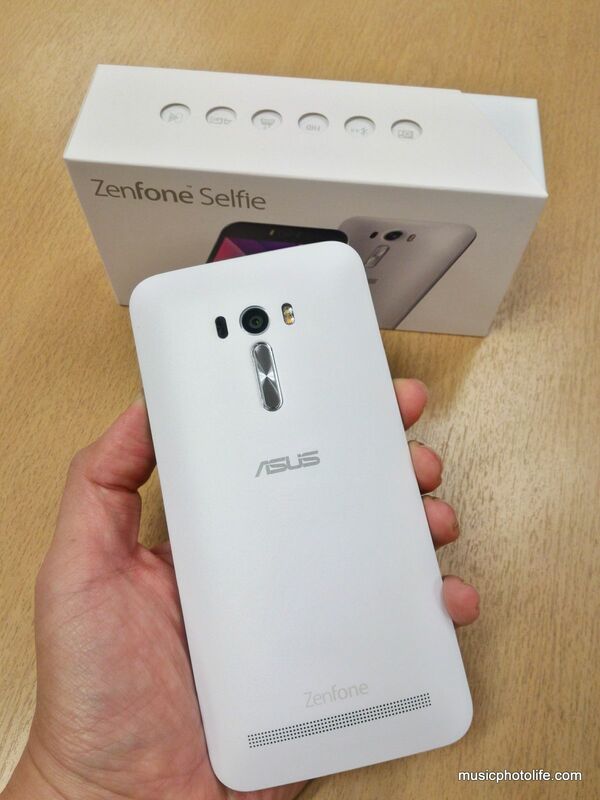 The ASUS ZenFone Selfie will be available at all ASUS brand stores, ASUS authorised retailers and Qoo10 from 26 September 2015. Retailing at S$399, ASUS is offering a launch special of S$379 with free Lolliflash ($17.90) from 26 September to 31 October. – Dual MicroSIM card slot, both supports 3G WCDMA/ 4G LTE network band, but only one micro SIM card can connect to 3G WCDMA/ 4G LTE service at a time. Pingback: Sony MP-CL1 Review: Mobile Portable Projector - Music.Photo.Life.